Pat Harding in action against Kingstonian. 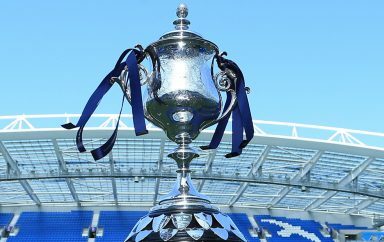 We turn our attention to the Sussex Senior Cup. 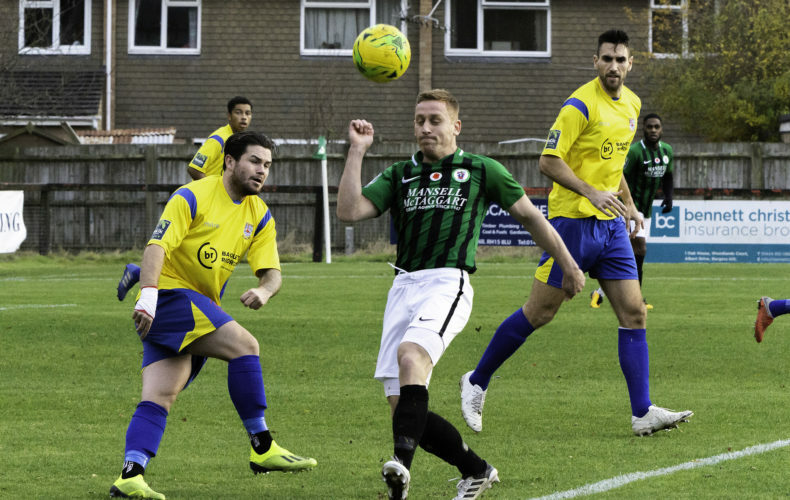 On Tuesday night, the Hillians make the trip to Nyetimber Lane to face Pagham in the Sussex Senior Cup Third Round – 7:45pm kick off. 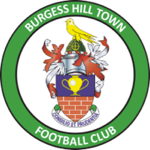 The Hillians progressed past Bexhill in the last round of the competition, and will be looking to take another step closer to the AMEX. Simon Wormull will be wanting an improvement from his players, after losing 3-2 at Brighlingsea Regent on Saturday afternoon. Our hosts for the evening currently sit 4th in the Southern Combination Premier Division – losing just once so far this season. Safe travels to all you Hillians planning on making the trip to support the club on Tuesday evening.